If you are a regular social media user, you probably have come across your friends and family (and perhaps random strangers as well) posting a picture of themselves from ten years ago and a picture of them here in 2019 (and if you’ve done it as well, we promise we won’t judge). 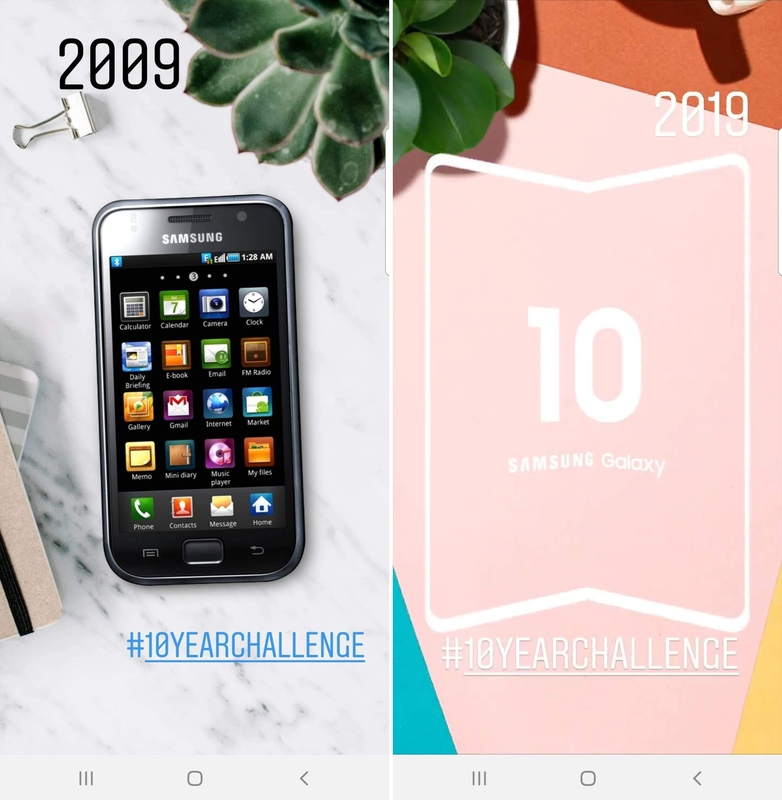 The ’10 Year Challenge’ meme has spread like wildfire on Facebook, Twitter, and Instagram, and Samsung Netherlands has taken the chance to jump on the bandwagon to tease its foldable smartphone. It’s pure coincidence that the Galaxy S flagship line has entered its tenth year right when the #10YearChallenge meme has taken off, but Samsung is clearly more interested in the foldable phone, which the company is hoping will help it turnaround its ailing smartphone business. And a foldable smartphone is the best example of how the Korean giant’s smartphone design will evolve from those flat rectangular slabs with the big bezels from 2009 to a rectangular slab that can switch between a tablet and a phone to offer the best of both worlds. Sadly, the latest teaser from the company is like all other teasers when it comes to revealing the actual design of the Galaxy Fold (expected to be the retail name for the foldable device), in that it doesn’t really reveal anything. Samsung chose to keep the actual device a secret by slapping a case around it and only offering us a glimpse of the folding display in November last year, although we may finally get to see the complete product at the Galaxy S10 launch on February 20. Isn’t it amazing how they can keep this quiet given all the leaks of other phones like S10. It just proves one thing to me. All those leaks are deliberately made by Samsung themselves. Lol! You’re right. S10 leaks are controlled by Samsung. S10 leakes a lot of times. Foldable not even one time. You’ll have to ask Samsung. We’re a fan site and not related to Samsung in any way. If the diagram is to be followed, then the foldable phone with that bezel could also sport an in-display camera just like the Galaxy S10. No the bezels are big enough to house it !